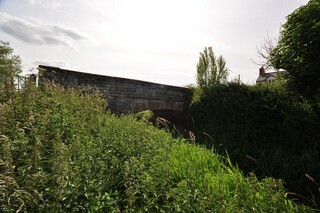 Barrington Broadway Bridge seen from the North. Le Pont de la Barrington Broadway vu du Nord-est. Barrington Broadway Bridge seen by Google Earth. 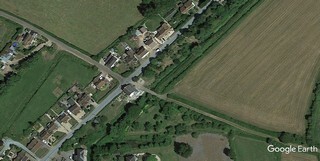 Le Pont de la Barrington Broadway vu par Google Earth. 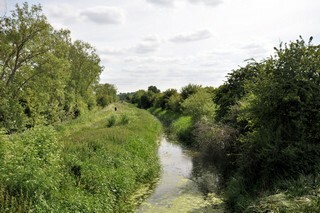 Looking to the South-West, the Westport Canal seen from Barrington Broadway Bridge. Les regards portés vers le Sud-ouest, le Canal de la Barrington Broadway vu du Pont de la Barrington Broadway. 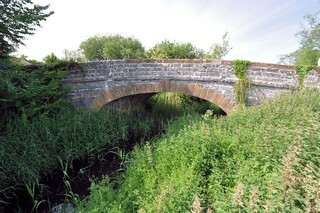 Knighton Drove Bridge seen from the South-West. 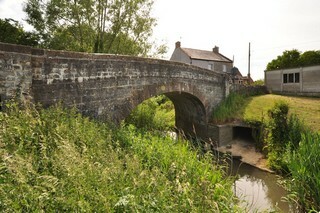 Le Pont de la Knighton Drove vu du Sud-ouest. 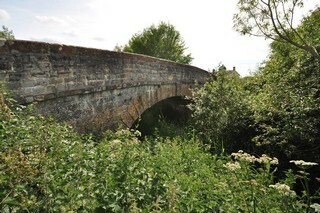 Knighton Drove Bridge seen from the North. Le Pont de la Knighton Drove vu du Nord-est. 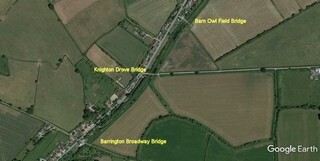 Knighton Drove Bridge seen by Google Earth. 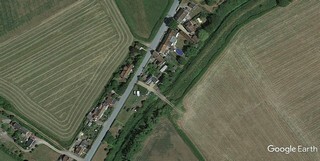 Le Pont de la Knighton Drove vu par Google Earth. 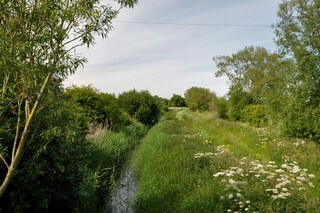 Looking to the South-West, the Westport Canal seen from Knighton Drove Bridge. Les regards portés vers le Sud-ouest, le Canal de Westport vu du Pont de la Knighton Drove. 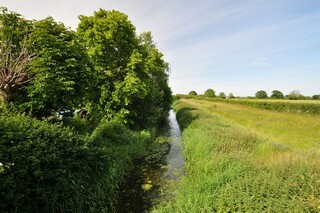 Looking to the North, the Westport Canal seen from Knighton Drove Bridge. Les regards portés vers le Nord-est, le Canal de Westport vu du Pont de la Knighton Drove. 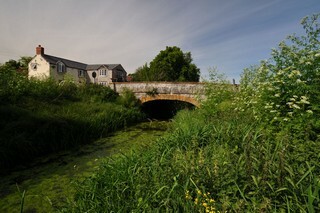 Barn Owl Field Bridge seen from the South-West. Le Pont de la Chouette-effraie des Champs vu du Sud-ouest. 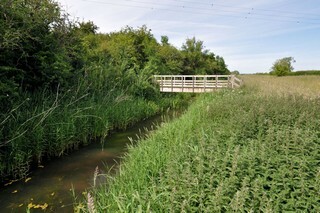 Barn Owl Field Bridge seen from the North. Le Pont de la Chouette-effraie des Champs vu du Nord-est. 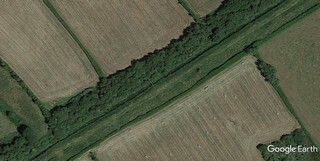 Barn Owl Field Bridge seen by Google Earth. 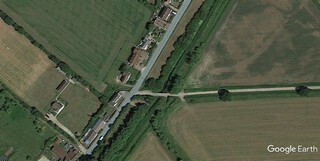 Le Pont de la Chouette-effraie des Champs vu par Google Earth. 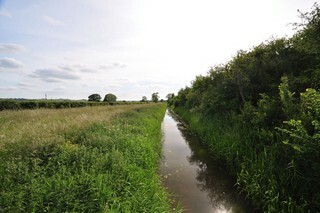 Looking to the South-West, the Westport Canal seen from Barn Owl Field Bridge. Les regards portés vers le Sud-ouest, le Canal de Westport vu du Pont de la Chouette-effraie des Champs. 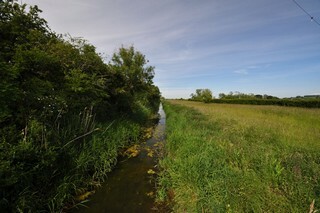 Looking to the North, the Westport Canal seen from Barn Owl Field Bridge. Les regards portés vers le Nord-est, le Canal de Westport vu du Pont de la Chouette-effraie des Champs. Westport Field Footbridge seen from the South-West. La Passerelle de Westport Field vue du Sud-ouest. 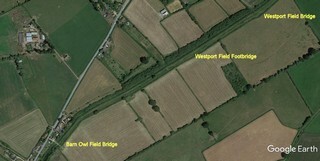 Westport Field Footbridge seen by Google Earth. La Passerelle de Westport Field vue par Google Earth. 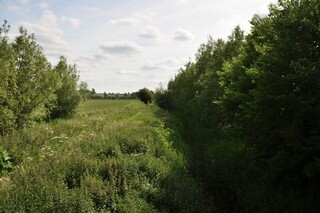 Looking to the South-West, the Westport Canal seen from Westport Field Footbridge. Les regards portés vers le Sud-ouest, le Canal de Westport vu de la Passerelle de Westport Field. 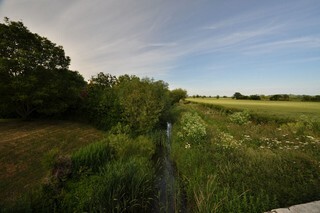 Looking to the North, the Westport Canal seen from Westport Field Footbridge. Les regards portés vers le Nord-est, le Canal de Westport vu de la Passerelle de Westport Field.